All Blacks coach Steve Hansen has been attempting to pile further pressure on Ireland from afar but the Six Nations champions are having none of his mind games. The New Zealander suggested that Joe Schmidt's side are struggling with the mantle of world leaders after beating his side in November, but CJ Stander and Simon Easterby both laughed off the comments. Joey Carbery, meanwhile, will miss Sunday's France game with his hamstring injury, so Ross Byrne has been added to the squad, as Kieran Marmion replaces Caolin Blade. Stander has regained full fitness and is expected to come in to the team at No 8 and Schmidt could make seven changes in all. Fit-again Garry Ringrose is likely to come in to the midfield, while Cian Healy, Rory Best and James Ryan will return after being rested in Rome. Iain Henderson is the favourite to partner Ryan, while Josh van der Flier could line out in the back-row. 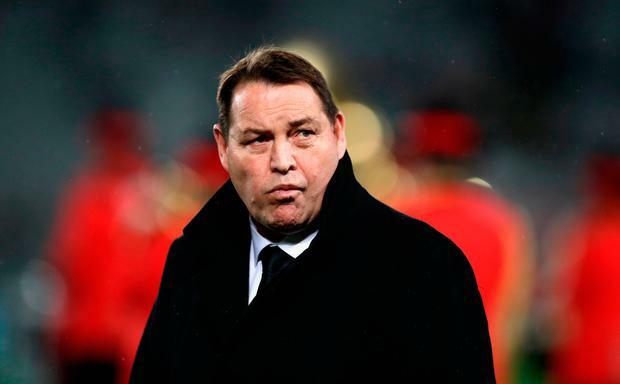 After missing the stuttering wins over Scotland and Italy, Stander is confident Ireland can produce a big performance against the French, and prove Hansen wrong. "The important thing is we believe in our abilities, we believe in the players' abilities around us," Stander said.